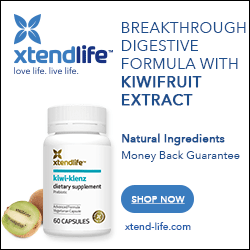 The weight loss supplement Xanthigen™ is a proprietary blend of pomegranate oil and brown seaweed standardized for “fucoxanthin”, a carotenoid present in seaweed and other marine vegetables. Of course, if you read through the study abstract, any hopes of thinking you’ve just discovered the magic pill will be quickly dispelled. This is not one. In fact, the most anyone lost on this study was just over 15 lbs. in a 4-month period. That’s less than 1 pound per week. That’s not to say it’s not helpful; it is, just not dramatically so. And remember… you can lose 1 pound per week (and more) on your own—simply by incorporating a smart diet and exercise into your everyday regimen.